A major decision has been made by the U.S. federal government about whether or not to tack fees onto the sales of solar cells, which go into solar panels, by Chinese manufacturers. The U.S. Department of Commerce on Wednesday officially decided that some of largest Chinese manufacturers will get roughly the same or lower anti-dumping tariffs than what the department handed down in May. But Chinese manufacturers will have to deal with much higher tariffs for receiving what the Commerce Department deemed as unfair subsidies from the Chinese government. The commerce department’s decision capped a year-long investigation to look at whether Chinese silicon solar cell makers have received financial and other help from the Chinese government that gave them an unfair advantage over rivals, and whether they have been selling products at prices that are less than their production costs or less than what they sell in their home market. The complaint, filed last October, came from a group of solar cell and panel makers led by SolarWorld. The tariffs are meant to counter the effects of the unfair government subsidies and pricing practices. Solar cells from Suntech Power, the world’s largest solar cell and panel maker, will be hit with a 31.73 percent anti-dumping duty, which is a slight increase from the preliminary tariff of 31.14 percent that the commerce department issued in May. Trina Solar’s cells will face 18.32 percent opposed to 31.22 percent. Other solar cell makers that asked the commerce to hand out specific tariffs will get 25.96 percent instead of 31.18 percent. The rest of the Chinese manufacturers will face 249.96 percent, the same as the preliminary tariff. But the amount that these companies or their importers will fork over will be lowered by 10.54 percentage points in order to avoid double-counting an export subsidy, the commerce department said. The commerce department significantly upped the anti-subsidy tariffs, however. Its preliminary tariffs, handed down in March this year, were less than 5 percent for all Chinese solar cell makers. But its final decision has increased that from 2.9 percent to 14.78 percent for Suntech, 4.73 percent to 15.97 percent for Trina, and 3.59 percent to 15.24 percent for all the rest. Overall, the final decision gave Suntech a slightly higher combined rate, and the same for companies that didn’t ask for specific tariffs. Trina and those who asked for individual tariffs, such as Yingli Green Energy, now face lower combined rates. Suntech, which already is reeling from a financial fraud in Italy, saw its founder stepped down as CEO in August. Earlier this week, Suntech announced plans to reduce production and other steps to reduce its costs. Both the anti-dumping and anti-subsidy tariffs apply only to silicon solar cells made in China. Silicon solar cells are the dominant form of solar cell and panel production and and Chinese manufacturers have squeezed out rivals in Europe, Japan and the United States in recent years. The tariffs would be paid by whoever are the “importers of record,” and that could be the manufacturers themselves or their customers. 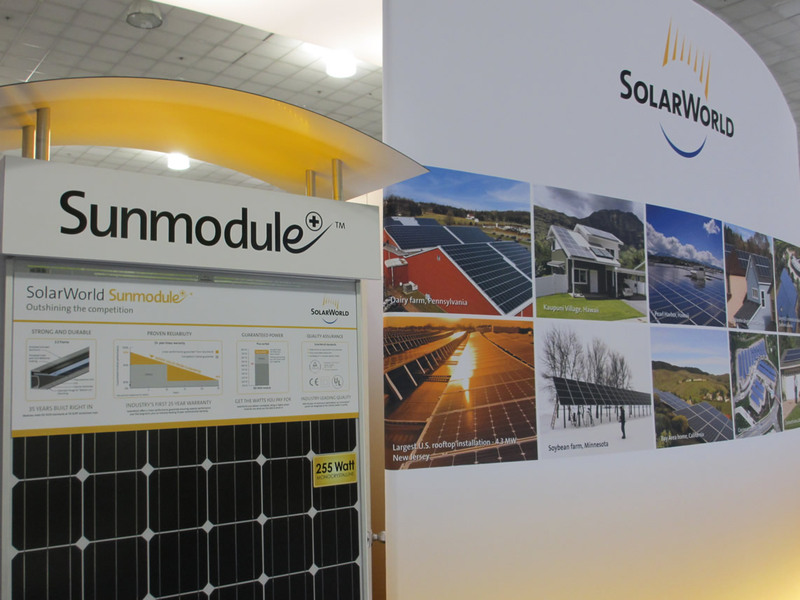 SolarWorld was hoping that the commerce department would impose tariffs on Chinese solar panels as well, but the commerce department didn’t budge. Adding solar panels would’ve inflicted a greater pain on the Chinese companies, many of which sidestepped the preliminary tariffs by using solar cells from countries such as Taiwan and assembling the cells into panels in China. 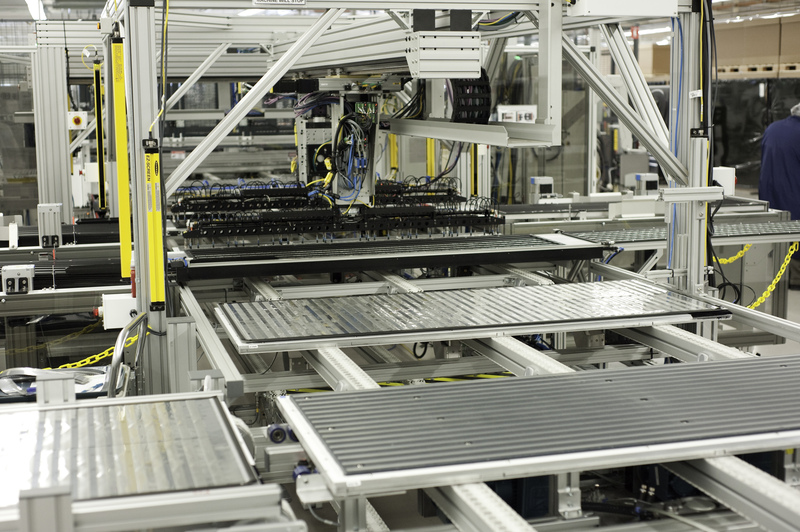 SolarWorld, which is based in Germany and runs a factory in Oregon, said previously that tariffs are necessary to help American manufactures stay competitive and in business. The other side, which includes not only Chinese manufacturers but also project developers and equipment retailers that have benefited from cheaper solar panels, warned of rising installation costs and severe job losses. As we pointed out last week, neither prediction has come true so far since the preliminary tariffs went into effect. In fact, solar panel prices have continued to fall because of other global economic market forces at work. The biggest factor: supply and demand remains out of whack for the global solar market. The glut began to show its impact and push down solar panel prices in early 2011, and its presence still lingers. Chinese manufacturers have continued to suffer big financial losses, along with their rivals in Europe, Japan and the U.S. After building up a big solar manufacturing base and export business, the Chinese government now is reportedly working on rescuing some of the biggest solar manufacturers and forcing a consolidation. But lower panel prices have benefited project developers and installers. The U.S. market for solar panel installations is forecast to grow 71 percent in 2012 from the previous year. The commerce’s decision isn’t the end of the trade case though. The U.S. International Trade Commission is investigating the same complaint, and it’s set to decide whether Chinese manufacturers’ actions have hurt American manufacturers. The final decision on the tariffs by the commerce department will be in effect only if the trade commission finds that American manufacturers have suffered harm. The commission, which did find harm in a preliminary decision last December, is set to issue its final decision on Nov. 7. It is a necessary action to prevent other U.S. solar panel companies from going the way of Solyndra.